Just wanted to drop you a line about our expedition since we were all whisked away so quickly to parts unknown on our last day. I consider myself very fortunate to have been a part of this expedition and that's a word I don't use lightly. It was at times difficult, even very difficult but no truly great experience of this nature should be easy. You and Emil were at all times consummate professionals concerned with our safety first. I never was fearful, your careful instructions and planning eliminated any uncertainty. To be in that place, that very special and unique place was for a once in a lifetime chance that I will never forget. Knowing very few people in this world have or will ever have such an adventure makes me feel especially fortunate. I'm going to let my pictures "steep" in the camera for a while and ruminate on this experience so as to fully appreciate it all. Thanks once again to you and Emil for never once making us feel like 'greenhorns'. I wish all the best to you and your future endeavours knowing they'll be a great success." Kevin and myself had the greatest time and I will never come off this incredible high that you provided us with. I am so fortunate that I saw your polar bear photo sitting on the seal. From that I got to meet you and I consider you a wonderful friend. Thank you soooooo very much Joshua for everything. You were so good to us. I look forward to my next trip with you very much. Hope you make it to NYC." Thanks a lot. From the beginning to the end the entire expedition was unforgettable. I will always remember it. Kevin, Dave and I now have lots of beautiful memories to share with our grandchildren, many years later those memories will be pass to others like grandfather’s mythologies (I mean that with some new editions and improvisations of those memories). Thank you for an amazing adventure. It was spectacular and to share it with you was THE BEST. I am so happy that you consider us friends because that is how we think of you. I will always remember this and what a wonderful time with you, Emil, Fatih, Kevin and myself. I know that I will see you again and I hope the same with Fatih and Emil. And now onto the second part of the adventure. 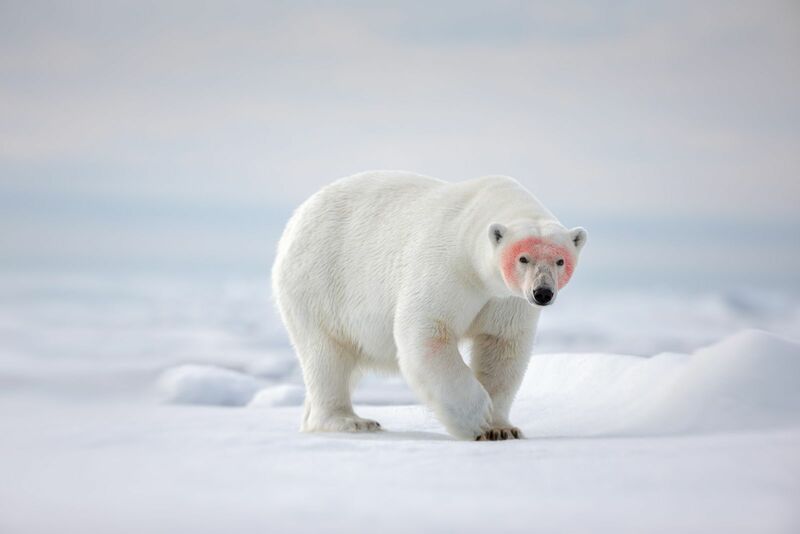 When I bought your beautiful polar bear photo on the ice never did I think what it would lead to. I just wanted to go on a trip with the person who made such beauty and it just lead into this. I look forward to being with you many more times. Thanks again Joshua! Best." 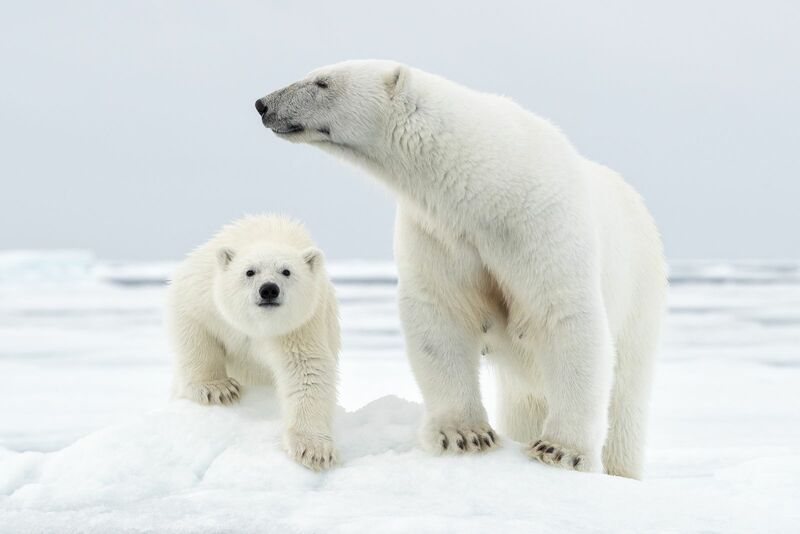 Jill and I want to thank you very much for the Polar Bears of Svalbard Expedition. What can I say? 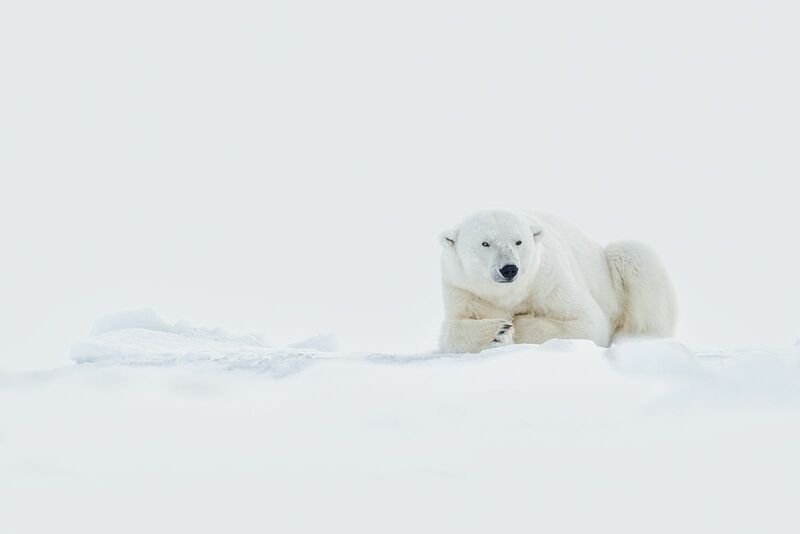 Seeing and photographing polar bears on the sea ice was a major life experience. We never thought that we would be able to go so far north and see these magnificent animals so close in their natural habitat. Thank you for the support advice and help you gave us with the photography and the image processing. We also enjoyed getting to know the other photographers in our small group, We learned a lot from just watching the experienced wildlife photographers amongst them. Along with you, your two guides were extremely professional, knowledgeable and helpful at all times making sure we had the maximum amount of time and information to enjoy the experience. And a big thanks to the crew of the ship who took us there and back and made sure we were (over) fed and watered. Their cheerfulness and skills really added to the whole experience. Thanks once again for an experience we will never forget." I hope you had safe travels and successfully readapted to that weird concept of defined days and nights. I am still struggling with that. Last but not least, thanks again for enabling that journey through Svalbard. It exceeded expectations on all levels. 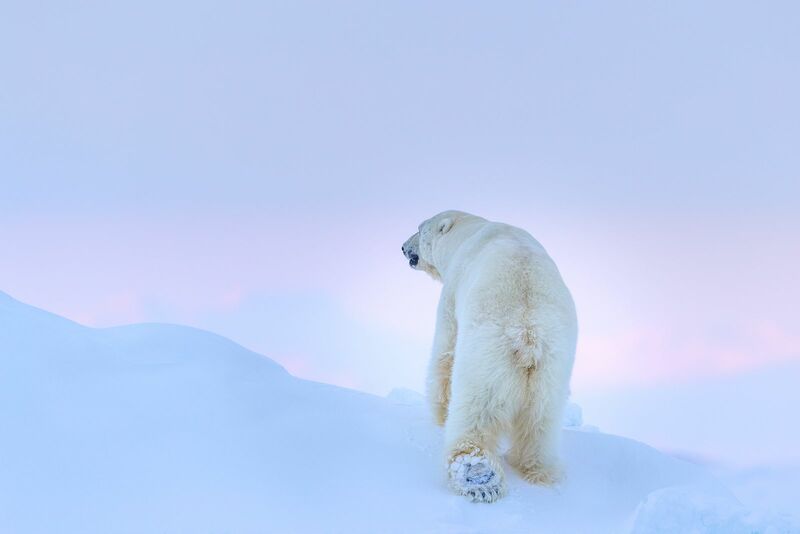 I am deeply impressed and touched by the diversity of our planet and the beauty of the arctic. The expedition was perfect the way it was, I wouldn't change a single bit. This is a very long overdue note to let you both know how much I loved the Icelandic journey! I am still reliving the trip and am astounded at how much we saw - and photographed! Both of you are amazing photographers who are also great leaders and helpers - a very rare combination - so I feel extremely lucky to have had the chance to travel with you. It was a great learning experience for me to be with a group of landscape photographers and I hope to repeat the adventure again one day. I cannot ever really express my gratitude for all your help at the Iceland Highlands Workshop with Daniel this year. I have admired your work for years and love the project you recently did on the Arctic Fox. I think the world of you and Daniel and appreciate and love every minute I spent in both workshops. I mean it from the heart about you and Daniel. This trip was the best trip ever!!! Arrived home safe and sound and think it will take a few days to recover from travel. It was quite an adventure at the airports. Will be thinking of you and Daniel on your upcoming trip. I arrived home last night just at midnight. 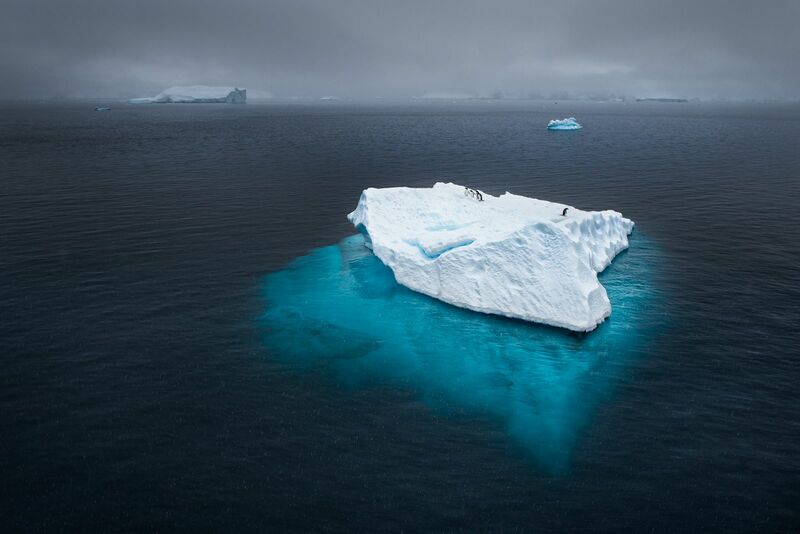 I just wanted to thank you for your generosity of time and spirit on the Antarctic Expedition. When Elissa and I look back at all the fun we had on the trip and the great people we met, we always seem to come back to you. Your patience, love for nature and willingness to help everyone was a real highlight for me and made a great trip an awesome one. Thanks heaps and i hope we stay in touch and Elissa has promised me she will send you though her top three pics from the trip once she has had the chance to work through them." 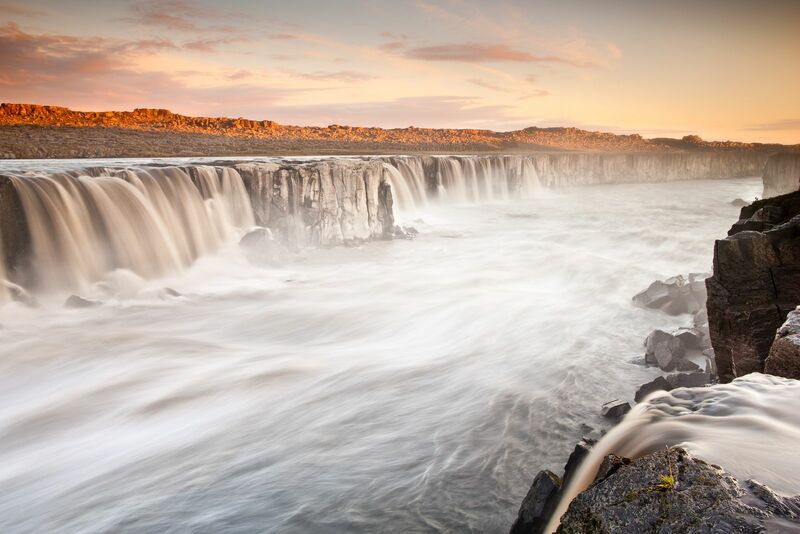 "Over eleven days from 8 to 18 August we were part of a spectacular tour through the Highlands of Iceland with Joshua Holko capturing images and creating memories that will last a lifetime. 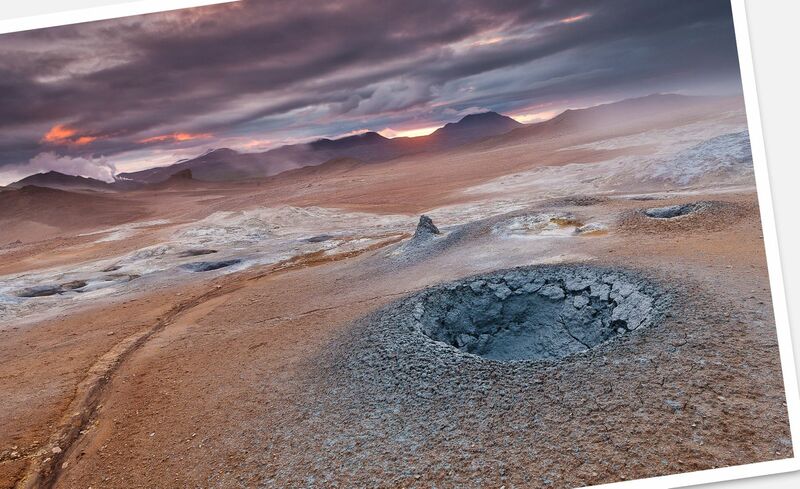 Iceland is a breathtakingly beautiful country — vast and endless landscapes of mystery and intrigue, a unique and defined culture and a passionate and interesting people! After the tour concluded we finished with two nights in Reykjavik and took a day to tour the Snaefellsnes Peninsula which proved to be equally beautiful. We were part of a diverse group that travelled from the far reaches of the globe. Our group was filled with charismatic personalities and passionate photographers who soaked up every moment, even when we had had our fill of "fossing" fosses. Thank you to my travelling companions — you made this a fun and exciting, not to mention a hugely interesting and enjoyable tour. A huge thank you also to both Joshua Holko and Daniel Bergmann for organising and leading a fabulous tour. Your professionalism, commitment and dedication was obvious as was your enthusiasm. Your passion for Iceland was clear from the outset and hopefully it is reflected in the images that everyone managed to capture, my own included. 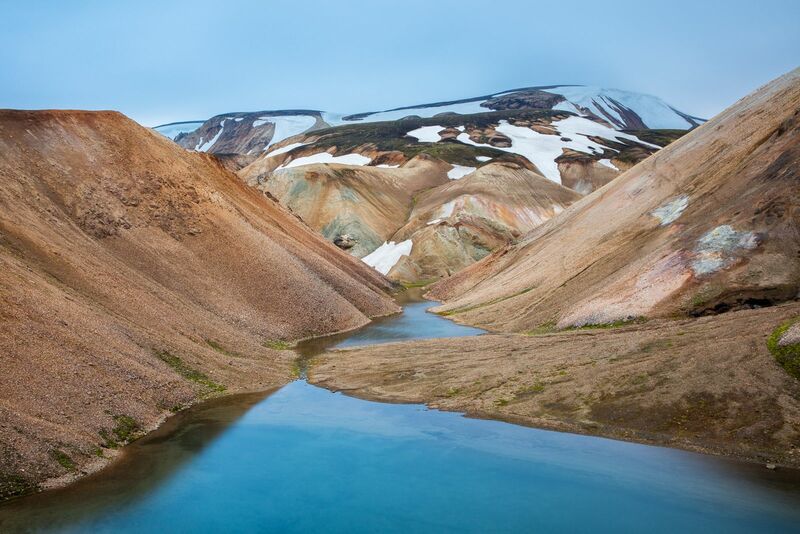 Iceland treated us to an environment of vast and spectacularly beautiful landscapes that often looked like pastel paintings or surreal lunar scenes. We were blessed by the weather gods (or possibly just expertly guided to the best locations in the most favourable conditions). We were saturated with amazing photographic experiences. 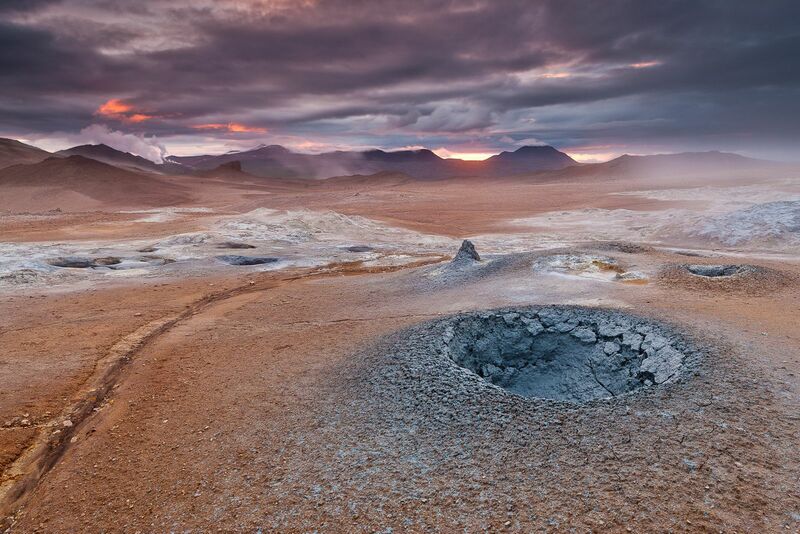 I will return to Iceland because it has so much more to offer. It may be in winter next time but whenever it is, I have a feeling that Iceland will deliver once again!" "I made a decision to start printing some of my photographs, rather than have a hard drive full of digital images. Joshua's workshop exceeded all of my expectations. I walked away with some amazing prints and a greater understanding of post production and photography in general. I highly recommend spending a day with Joshua." "Hi Josh, Back on land again in Ushuaia after 20 mind blowing days of amazing wildlife, amazing scenery, amazing seas etc etc in the Falklands, South Georgia and Antarctica. Still having trouble processing all the things I have seen and done. My thanks to you for providing an unforgettable photographic experience, for all your assistance and companionship." "Hi Josh, I just wanted to say that I have done a lot of workshops and photography trips with many different leaders and companies over the years. Your workshop was absolutely full on. You could not have done anymore or worked any harder. I expect that is why you have so many repeat customers and why your trips sell out so fast. Thanks for a truly fantastic trip and experience. I want to come back in Winter with you next year." "Hi Josh, Just wanted to say thanks again for a terrific couple of weeks in Iceland this July, it really was a fabulous experience, with another handful of people falling in love with Iceland, I’m sure. The efforts that you make to maximise the weather and light, and location are exceptional. I’m really happy with many of my images, and am already looking forward to coming back!" "Hi Josh, Well, what an exceptional experience with you this has been. I fear I am now spoiled for all other workshops by comparison. It has been a great pleasure to digest all of my photographs over these many weeks since Iceland. Thank you so much for the wonderful memories and incredible experience." 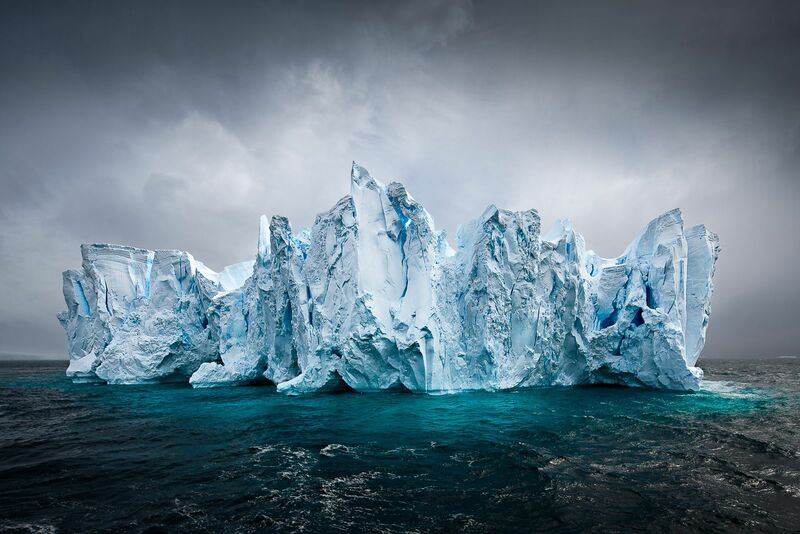 "In 2013 I traveled twice with Joshua Holko: Both to Iceland and to Antarctica. I am a veteran of many photography tours and workshops. I have experienced both the best--and the not-so-best--of trip leaders and instructors. Joshua does his utmost to make sure that all of the participants have the best photographic experience. He is always available for questions and help for those that need it. He has the sensitivity to enable those participants who do not like or prefer instruction to get the maximum image-making opportunities. "What can you say about an expedition of a lifetime? We had many opportunities on this trip that came our way due to Mother Nature. Take her work, add Joshua, and you have a dynamic duo. This is the second trip I have taken with Josh, and after both, I came away with the same feelings: amazing, fulfilling, fun. Josh has extensive knowledge and experience in the areas he travels to. As a result, the trips are extremely well organized, yet have a looseness allowing the participant to freely pursue the environment in very personal ways. His chosen expedition company provided us with skilled, knowledgeable staff who went out of their way to meet the needs of photographers. This meant having Zodiacs ready to launch at five am, asking the chef to call for meals at altered times, or being allowed to stay longer on site (weather permitting) when the conditions were tantalizing for a group of photographers. Attendees varied from professional photographers, award winning amateurs, to point and shoot individuals. Josh was always available for input if one needed, and no matter how tired, he was there for his group whether during active shooting, or in the evening for review if one wanted his input. I think everyone came away with images to be proud of. In short, having been on other photo tours, Joshua’s rank #1 in my book. Thanks for making an amazing place fun to share with you and the many wonderful people that were on board." "This was absolutely the trip of a lifetime!." 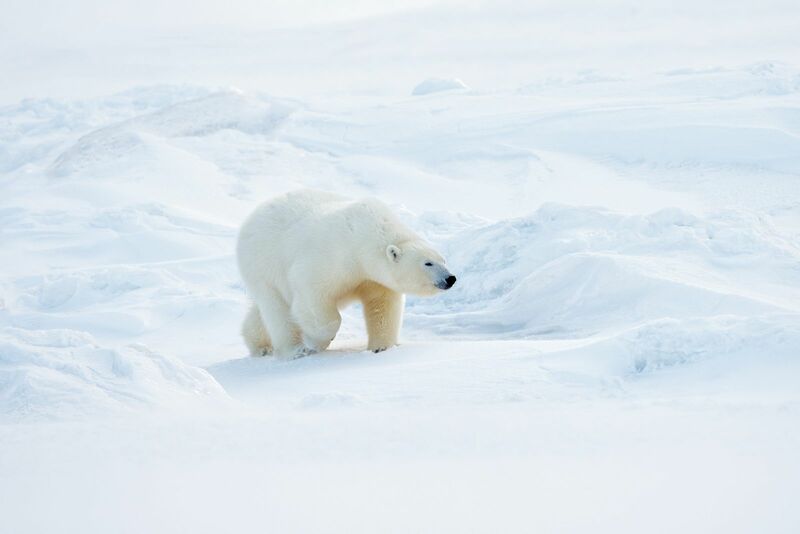 "I just wanted to send a thank you email for the awesome experience I had on the Jewels of the Arctic expedition on the 18th to 31st of August this year. The photographic opportunities were truly stunning. Having a photographic component to activities made for marvellous opportunities to create some great images and it was great to see the Expedition staff so accommodating to our needs as photographers be it taking different courses in the zodiacs to positioning zodiacs for the best vantage points. Working with Joshua and the zodiac drivers was a sheer pleasure and as a photographer this was a real highlight of the expedition for me and fellow photographers. I think all and sundry loved the slide show that was produced with photographs from all of us on the ship by Joshua. It was a great windup to the trip and a good memento for all. Overall it was an extremely pleasurable experience and I can’t wait to share my photographs and my joyous experience with my friends and colleagues. Thanks again for a marvellous trip." 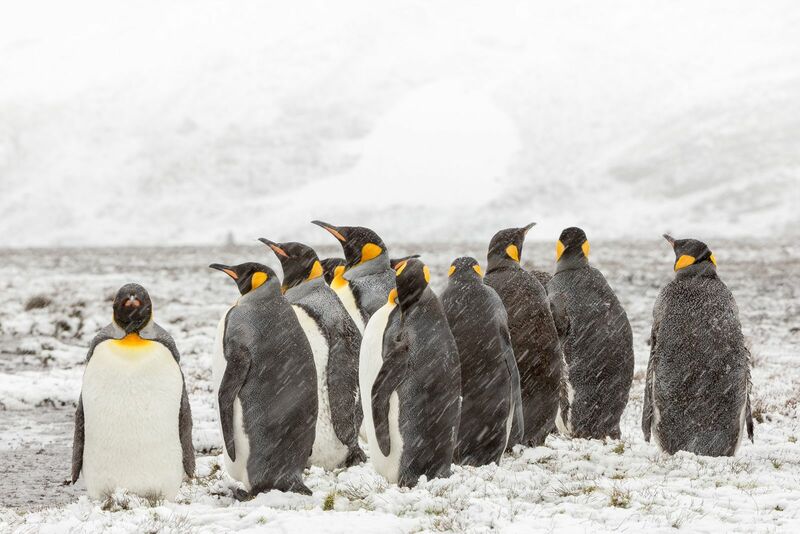 "This was quite possibly the best photographic expedition ever!" "Josh has passion you rarely see in others. It shows every time he is in the field with his camera. It shows every time he shares or helps others. It shows, most importantly, in his work. I had the privilege of travelling with Josh, along with fellow tour leaders Andy Biggs and Daniel Bergmann, to Iceland in March 2013. We experienced the soft glow of auroral curtains sweeping overhead. 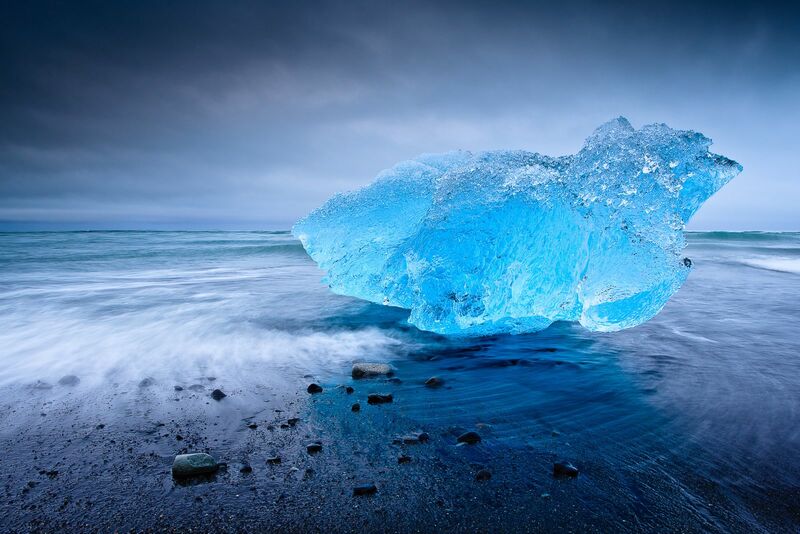 We stood amidst Icebergs stranded on a black sand beach, slowly melting, shining in the glorious rays of a sun just risen. We had snow, wind, rain, sleet. We had it all. And fortunately, we had Josh, with his seemingly limitless energy, enthusiasm and good humour. And talent. Did I not mention his talent before? I'll never forget our first day of the tour. We had arrived at Vik and went down to the beach to shoot. It was windy, gusting well over 100 km/hr. The sea was roiling, huge breakers smashing into the sea stacks. Sleet and rain pounded the beach. I saw the glint in Josh's eye (the same one I think was in mine). I knew in an instant something about this man that words would have taken comparative ages to discover. Then we went shooting. I came away from the tour with many images I'm very satisfied with. I think others did too. Would I travel again with Josh on a photo tour? Hell yes!" 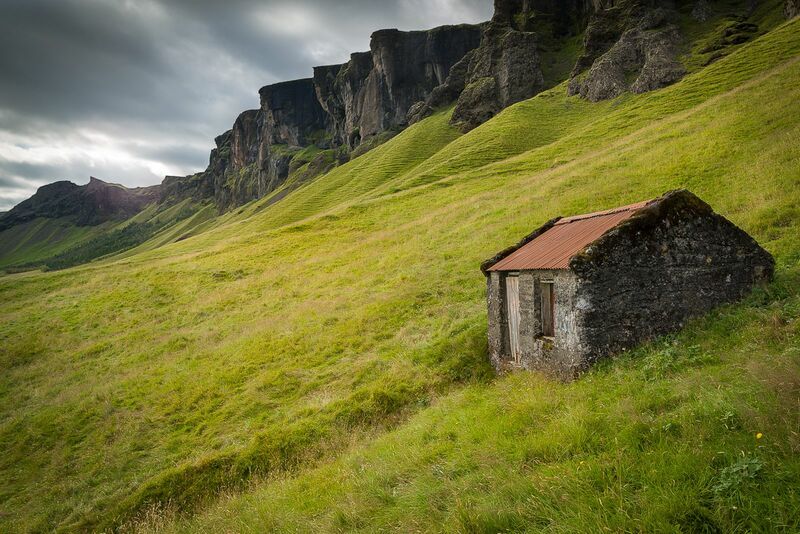 "Josh, I wanted to write to thank you for all the hard work and effort you made on our recent photo tour to Iceland! I was thrilled to come away with a number of images I'm very satisfied with. Your passion for image making is altogether evident, not only in your work, but in your spirit in the field. I was impressed by your sharing and the guidance you offered not only to myself, but to all those who were members of our group. Your love for what you do truly shows. It's infectious. Thank you for a terrific journey!" 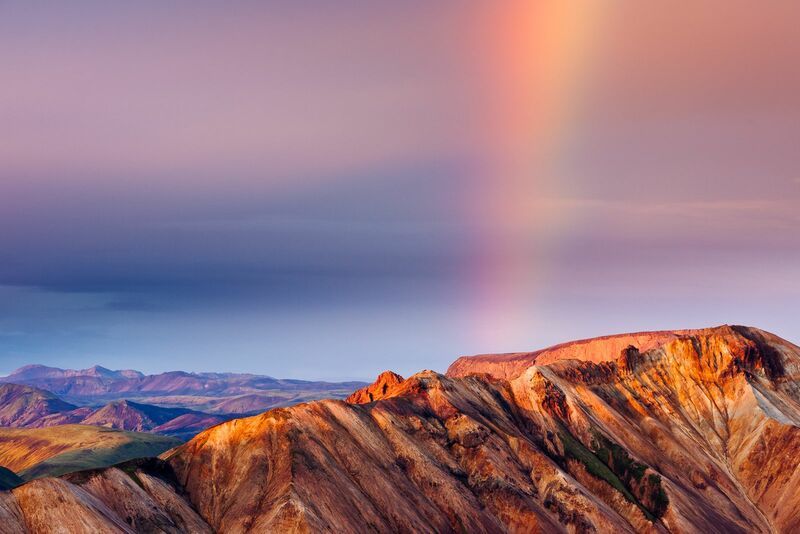 "In March of 2013, I had the pleasure of travelling through Iceland with Joshua Holko, Andy Biggs, and Daniel Bergmann. I normally don’t travel with groups for my photography, as I find traveling alone allows you to become more in touch with the environment. I made an exception for this trip and I am certainly glad for it. Joshua, Andy, and Daniel managed to deliver a trip well above my expectations. First, they handled the challenging logistics of travelling from the western edge of Iceland to the Eastern edge of Iceland and back again during winter in a country touching the Arctic Circle. More importantly, they arranged access to some of best photographic sites available during this time of year with more than enough time to shoot what we needed. Although we travelled a lot, we spent significant times in areas that were rich in photographic opportunities and returned to some locations at different times of the day for complete coverage. They did this while sharing everything they knew about shooting these sites and suggesting ideas for those of us experiencing it for the first time. They also filled the schedule with as much photography as possible and managed to maintain a sense of humour during an extremely challenging shooting and travel schedule. I could have flown over by myself, rented a 4x4, and tried to find everything with a map. However, I would have missed many things, spent more time driving than shooting, and come back with a far less rewarding experience. Not only did I think this expedition worth the time and money, but I am also looking forward to traveling with them again soon." 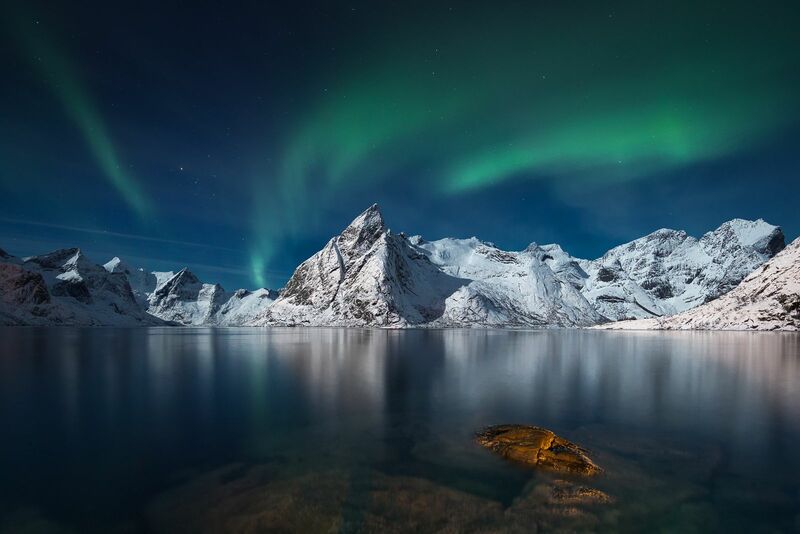 "If you ever get to watch the behind the scenes of a National Geographic production, you soon realise it takes a team of dedicated individuals to get those shots that are oh so good. This team is responsible for getting the photographer and his gear to the ideal location at the right time of day/night. You might be quick to think that this is an easy task but it takes extensive preparation and planning to make it seem seamless to the photographer whose only concern is to get the shots. 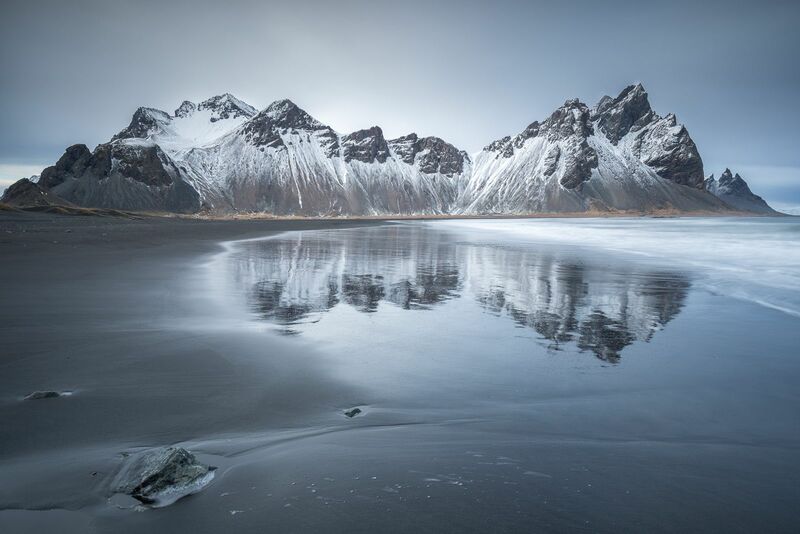 Iceland Winter 2013, Joshua joined by Andy Biggs and Daniel Bergman provided in my opinion the best workshop that a photographer could wish for. Highly recommended." "Hi Josh, Thank you very much for the printing workshop. My mind is still full of everything we discussed and I am still trying to take it all in. I just wanted to say that you are an excellent teacher and I am extremely impressed with your professionalism and willingness to share information. It was the best and most useful time I have spent in photography and I can't begin to tell you how much I have learned and how many ideas you have introduced me to. Thank you very much." "Besides being an outstanding photographer, Joshua also shares his knowledge freely with other photographers. His goal seems not only to create the best work possible, but also to assist others in creating their best work." "As an organiser and trip leader, Josh goes that extra mile to ensure a remarkable mix of Icelandic variety from beginning to end. Coordinated to the highest level with the best in accommodations and food, Josh's knowledge of the area offers the photographer a unique approach to a landscape of untold beauty." "It was a totally amazing experience. Joshua's knowledge of Iceland and ability to work with his guide and get us to the best spots when the light was good was invaluable. 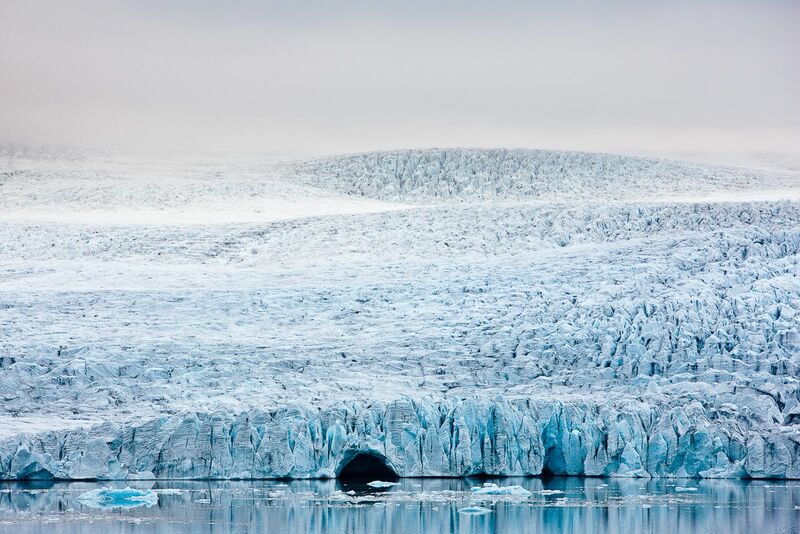 I signed up for both the 2013 Winter Iceland workshop and the 2013 Antarctica expedition before I even got home from the 2012 trip and thats the highest recommendation I can give." "Joshua’s workshop was an amazing experience. A small group size, his professional opinion and tips always on hand, and some great insights into Joshua’s unique vision helped me create some beautiful landscape photographs. 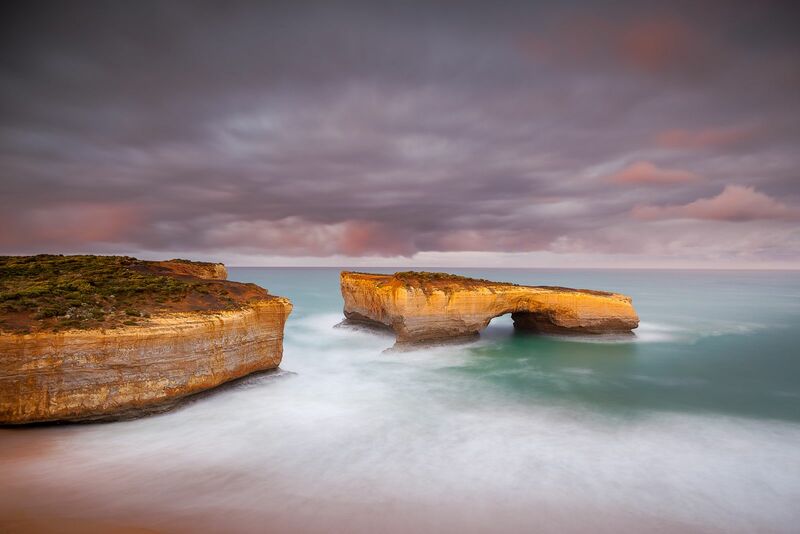 We visited a number of locations, where he shared his techniques of how to create beautiful photographs whilst making the most of the varying weather conditions and available light at each of the locations we visited to produce stunning photographs." "Coloratti Joshua Holko is our newest member of the X-Rite Coloratti program from Melbourne, Australia. Josh is an accomplished nature photographer and workshop leader. We caught up with Josh a few weeks ago to talk about his photography and yes, I admit it, to enjoy his lovely Aussie accent! You have to hear about his thoughts on “luxury shooting” in his workshops. Enjoy the audio clip from our conversation below." 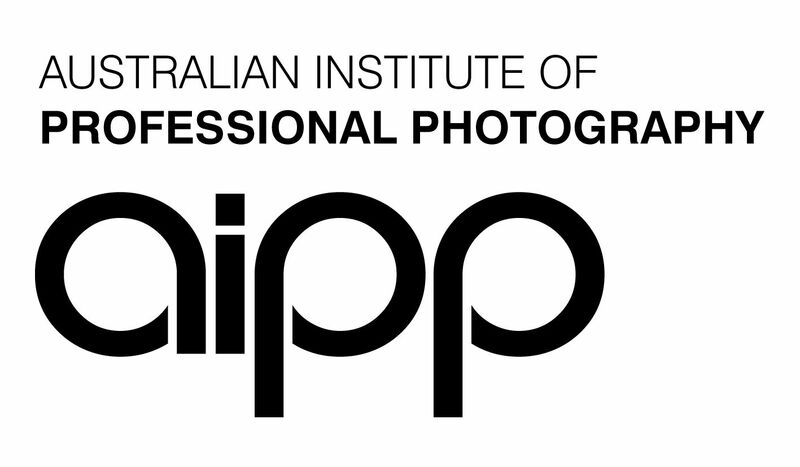 Many of the workshops and expeditions I lead are approved and accredited by the Australian Institute of Professional Photography (AIPP) for Continual Professional Development (CPD). If you are a member of the AIPP you can obtain points toward your annual target by attendance at one of my workshops.